Globalscribe – How you say it matters. You have a message. You believe in what you want to say. But how do you hook your audience? How do you engage them long enough to learn what you want them to know? I help clients find the sweet spot between knowing their audience and what it needs, and creating interesting, readable, efficient copy that gives it to them. As short as a tagline or as long as a book, the right words really do make a difference. You know when you hit that point where you realize it’s time for a total overhaul–branding, website, marketing materials, everything? NicholsBooth got there and asked me to write an interim website just so they could get rid of the old one while they figured out all the other big stuff. We had a great time taking the existing information and making it fun and creative, just like them. 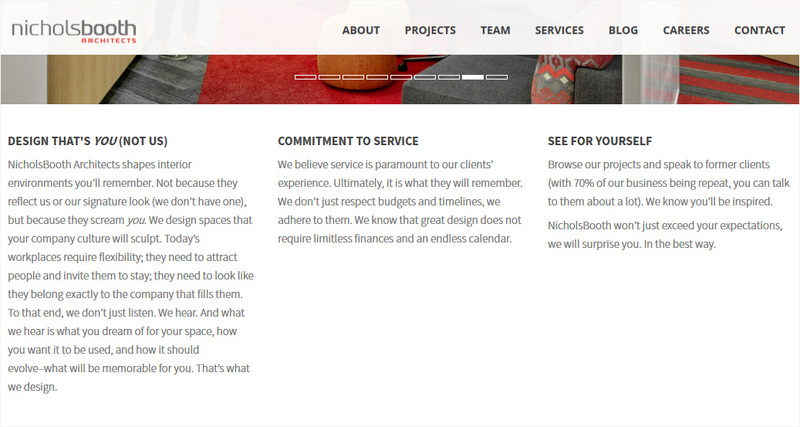 For their home page, NicholsBooth wanted to convey immediately that they are client-focused and know how to be professional without taking themselves too seriously. ARG does thoughtful, creative, careful design work on historical structures and sites. When it came time for their new website, they had plenty of incredible visuals, and needed words to go with them. That’s where I came in, with the goal of bringing the same thought and care they bring to their projects to how their website presents them. ARG’s projects represent some of the most iconic images people have of San Francisco. 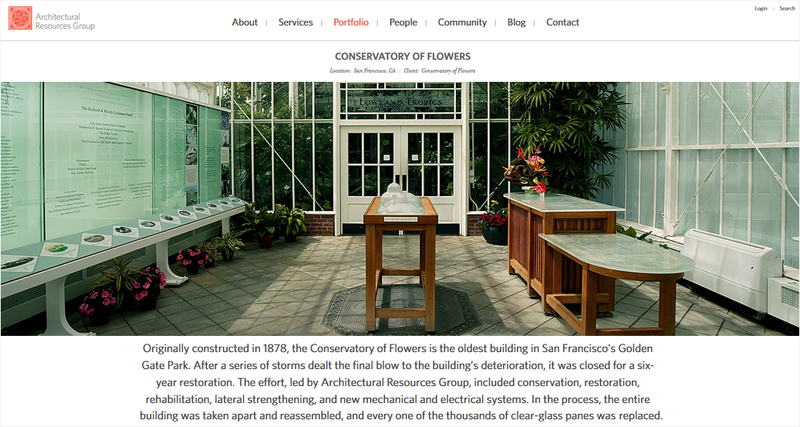 The Conservatory of Flowers is a landmark in Golden Gate Park, given new life by ARG’s meticulous restoration. 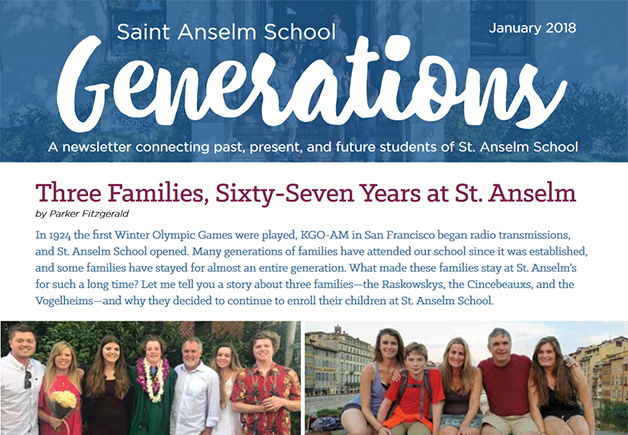 St. Anselm School has one opportunity a year to communicate with their alumni–the Generations newsletter. I edit the newsletter, choosing articles with the principal that will communicate all the good things the school is doing, and then either research and write the articles or work with parent and student scribes. The result is an eight-page, full-color newsletter that alumni are always grateful to receive (at least that’s what they tell us! ).